If you need a holiday fruitcake in a hurry – buy it! But if the August doldrums are getting you down, there's nothing exciting to do and the heat and humidity are unbearable, crank up your air conditioner and get to work making fruitcakes from scratch. 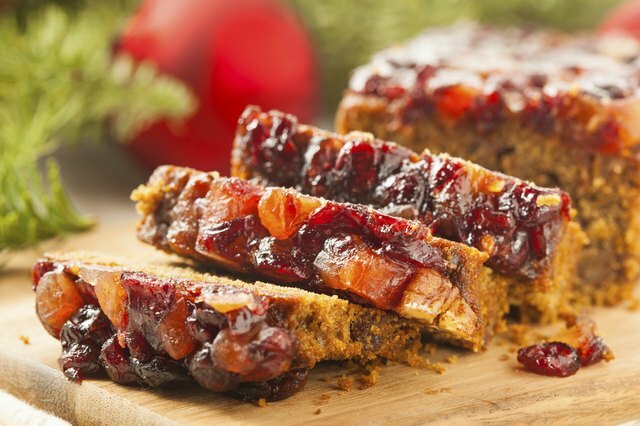 Old-fashioned fruitcake recipes cater to all tastes and are lenient with the ingredients. But the one thing they all have in common is that they need to age, like fine wine. 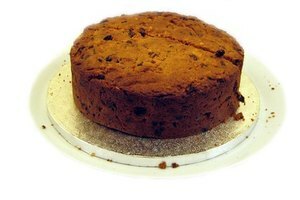 In some countries, fruitcake preparations start the day after Christmas for the following Christmas. The longer the cakes age, the better they taste. The dried fruits are the main ingredients in your classic fruitcake. Don't use fresh – they'll turn moldy as the cake ages. If you like candied fruits, which have been steeped in sugar syrup and then dried, collect an assortment of orange peel, lemon peel, citron (a cousin of the lemon but with thicker skin) and cherries. The red and green cherries are dyed to create the intense color. If candied fruit isn't to your liking, use dried fruit such as golden raisins and apricots; for a taste of the tropics, add pineapple, mango, cantaloupe, dates or papaya. Most fruitcake recipes call for dark brown or muscovado sugar. These sugars get their color from the processing, which adds molasses to the formula, creating the color and sweetness. If you use a light brown sugar, the fruitcake will be lighter in color. 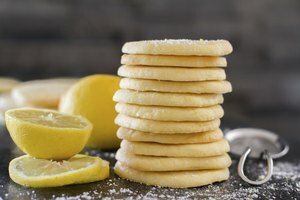 Flour is a secondary ingredient to the sugars, and most recipes use less flour than sugar. The science of suspending the fruit calls for the mixture to be thick. 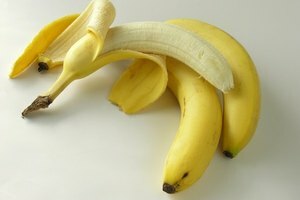 If the batter is thin, the fruit falls to the bottom. All fruitcake recipes call for a variety of spices. Check your spice cupboard for nutmeg and mixed spice – a blend of allspice, cinnamon, nutmeg, mace, cloves, coriander and ginger. Cinnamon and cloves are the Good Housekeeping spice suggestions. The crunch in your fruitcake comes from the nuts. Choose hazelnuts with the skins off, macadamias, walnuts, almonds and/or pecans. Use several for a variety of flavors. A tip when adding the nuts is to dredge them in flour before adding to the batter. This helps suspend them while cooking. 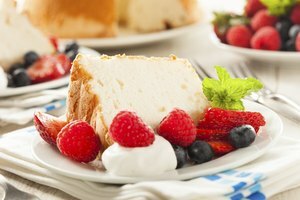 Brandy, rum or sherry are the suggested alcohols to use for soaking your fruit and topping the cake. A day before, or even a week or month before making the cake, soak your fruits in the alcohol. This adds moisture and flavor. If you don't want alcohol, choose a fruit juice you like, but not one with water as the main ingredient. Plain flour (all-purpose) or even wheat flour can be used in your fruitcake. If you follow a gluten-free diet, use gluten-free flour and xanthan gum in your recipe. Large eggs, baking powder, golden syrup and softened unsalted butter round out your ingredients list. The quantities depend on the number of cakes you're making. Also have parchment paper and cheesecloth on hand. The fruit's been soaked; the nuts dredged in flour. Now it's time to prepare the pan with a double layer of parchment, especially around the edges. Help this process by painting each layer of parchment with softened butter or Sweetex to help one layer stick to the other. 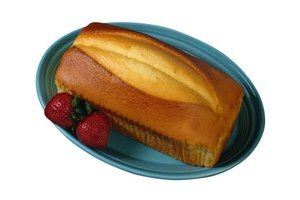 Double layering protects the batter from scorching during the long baking. Heat the oven to 275° Fahrenheit – no higher. You need a long, slow bake to keep the fruit from burning. Mix the butter and sugars in a bowl until they're creamy, about 5 minutes. Add the rest of your ingredients; mix, then pour into your baking pans. Cover the top with more parchment, and then bake for at least 4 hours. Test by tapping the top or inserting a bamboo stick into the cake. If it comes out clean, it's done. Let the cake cool completely, and then poke holes in the top. Pour your chosen alcohol onto the top and let it seep into the cake. Give it a few more minutes to absorb, then replace the top parchment. Wrap the entire cake in cheesecloth, and let it age in a cool, dark place. Every few weeks, visit your cake to brush more alcohol on the top. This helps maintain moisture as it ages and enhances the flavor. Happy holidays! Good Housekeeping: Bake your best fruitcake ever!